The TSA "member" as you put it, are carefully, hand selected, vetted and groomed for the role. For instance, if they smile or pass a pleasantry to any passenger or crew member at anytime during the interview, inductions or training and on-boarding process, they are summarily removed and deemed not fit for duty. If they break that cardinal rule, they are demoted to a desk job at best......but are open offered jobs as United Airlines check in staff. So please remove your shoes, take out your electronic equipment is seen to be doing something......but pysch testing of the flight crew consists of..."How are things at home"..........surely that is sufficient? Well, I thought Flamingo had too much water (HAHAHAHAHA), and I've always been a fan of Lee Trevino since i met him at Pleasant Valley near my home in Worcester (Avco Classic ?) 1970ish...Anyway...Yes we played The GOLD Course ! (also home of the LPGA CME Globe Championship)...Thank You Joe !!! btw..I was 8 yrs old...got to go with my neighbor until they moved that tourney (later calledBank Boston Classic). Great story from 1975 when Roger Maltbie lost his winner's check at T.O. Flynn's Restaurant in Worcester. Back then it was only for $40,000. Great story by jason sobel on espn...google it lol. I'll get the last day done up this weekend. Glad to do it Mike. Save that amount you mentioned and the four of us will be back at it next fall, winter season. Not seeing Johnny about, I though I dodged a bullet. He's BACK! Gonna have to figure out the best time of year to get over there. Does it ever stop raining over there? 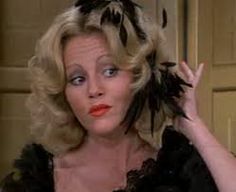 Edit: I miss Madeline Kahn, Mel Brooks, and the educational films he made, that guided me through my youth. Who could ask for a better mentor, when it came to reality? "I didn't get a Harrumph outta that guy". Give the governor his Harrumph! Uh oh.......would I be right in guessing Joe has had to fly somewhere else.....and is currently in the care of the TSA agents?